ANNOUNCEMENT: A review copy of SIBERIAN HELLHOLE goes to Shackman. Today, I welcome Michael Mulvihill to MBB. 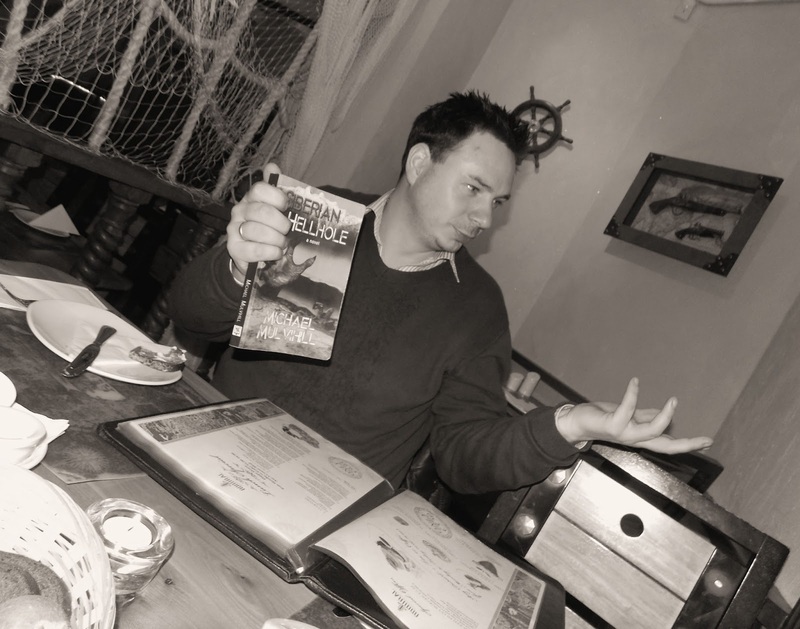 Michael is an Irish author and has written a paranormal fiction novel, SIBERIAN HELLHOLE, published by WheelMan Press. SIBERIAN HELLHOLE is a novel with a spiritual slant and a strong message. Maria, at school, an English and History teacher, Mrs Bateman, told my dad that I had book writing talent. I was regarded as a good writer by my Leaving Certificate English teacher. I didn't know at fourteen what genre I could devote myself to. But this would reveal itself via time and thought. I remember things that influenced me as a child, like the horror/sci fi TV series V. This was an amazing programme. I learnt that if you want to devote yourself to a genre, that's cool, but you do not have to abort your interest in the history of the world that you live in. You actually can become a genre writer by having a history in things inside and outside of the genre.Why is that? At seven, when I first watched V, I didn't know what it was getting at. Than at sixteen I got to view it again. I learnt that the creators are talking about lizard aliens but they're really explaining the odious condition of racism and how, through the dehumanization of people combined with intransigence, because people stay quiet and do nothing when something should be done, you have the possibility of the Holocaust. This is exactly what V is demonstrating to its viewers. I can only encourage you and the readers of this blog to watch the 1980’s television series V again. It's possible for a person to actually create speculative fiction with far reaching intelligence. Once, in a pub, someone told me that Star Trek was created as a way of explaining what was going on in The Vietnam War. Ideas like this that make me think I can really do something with this genre.And there were books and short stories that I would have a look at. I'd say to myself yes I'd really love to write a book that would reach out to people like this. That'd be really cool. Ask some writers what made you a writer? They'll tell you the process, then the books they read. If it's horror they will blurt out Dean Koontz, James Herbert and Stephen King. I like Herbert, but I am not into Koontz,. I am not enamored by Stephen King. He's everywhere, all over the net. I've always thought: there was horror before Stephen King and there'll be horror after Stephen King. Life can make you a horror writer. It's good practice to read plenty of non-fiction, I believe what has made me a good horror writer is all the horror I've read from the non-fiction true life world. Horror can be distilled from the most mundane of imaginings to the most horrific of real life experiences. I think what made me and what will make anyone a good horror writer is a genuine interest in what it is that you're wishing to convey, a love for it. This will come across to readers. What attracts you to the paranormal genre? Good question Maria. The paranormal genre is high art. Currently I am revisiting FRANKENSTEIN, INTERVIEW WITH THE VAMPIRE, PICTURE OF DORIAN GRAY (psychological horror), DRACULA, VAMPIRE LESTAT and Edgar Allan Poe's writings. I adore these works. In the 1990’s, Francis Ford Cappola turned the horror novel DRACULA into an academy award winning film. This showed how good the genre can be. Gary Oldman's depiction of Dracula is flawless. INTERVIEW WITH THE VAMPIRE (which I also love) was also Oscar nominated. Look at AVATAR, an example of speculative fiction being a huge, huge success. A paranormal film isn't just ninety minutes of orgies of death, and a celebration of the gruesome, . There is intelligent stuff being made in the name of horror/paranormal fiction. People love this genre. You call it paranormal fiction,. I call it speculative fiction. That way it's more encompassing. I'm not into the new vampires, unless I'm creating them. I have a few in SIBERIAN HELLHOLE, I have a few in a short story I have out with blackpetals.net in issue 63 which is about a vampire horde. And novel 2 will be all about one particular vampire as he roams around Dublin. What works such as DRACULA and FRANKENSTEIN show is that horror can be handled intelligently and morally. FRANKENSTEIN demonstrates the danger of humanity feeling that it can play God. Whilst DRACULA is not at all heretical, it reaffirms the power of the cross. The power of the spiritual forces of good to defeat the spiritual forces of evil is something in which I've always been interested ( I guess it goes with the territory of the name I was given, Michael/Mikhail /'angel of light' and how he defeated the great adversary of mankind). Whilst Poe's writings show that a person with an exquisite way with words can also gain their sense of belonging and make a huge contribution to this genre, Oscar Wildes “The Picture of Dorian Grey”is another idea I love. I mean, just look at our society now? People will literally sell their souls or their life savings to attempt to preserve their youthful looks and to hold on to life. Is that not tragic? .All these writers were ahead of their time. I feel that I have the ability to bring some intelligent contribution to this genre in an unconventional manner. I adore it because I feel that I can deploy my intelligence fully in the creation of my works. Do you write a certain target amount of words per day or do you write when the muse strikes? I think about what I write and then I write it. Sometimes I will research it impeccably. Other times I will just let it be written and see how it turns out. I don't have a set amount of words but I usually work every day. This is the discipline of writing. I am a slave to my writing. I often worry if this occupation alienates me from the rest of society. So what if it does? I have something that I am intensely interested in. Not many people can say this, can they? Can you describe your book in a Tweet sized sentence (140 characters). The novel SIBERIAN HELLHOLE concerns a vampire/demonic horde, a portal to hell and an attempt by the powers of Satan to take over Siberia. Do you see your literary work as a way of expressing your thoughts? Yes. I want to write about social things, psychological things. I want to write about faith and ethics and morality, abut the dark side of the human soul and about how people can be exploited in this life. What better way to do this than to write fiction? Sometimes it's better to show not tell and this is what fiction can achieve. I feel like a fraud saying what I just said. I have a thousand thing to say and I need a lifetime to say it. I want to write maybe twenty books in my lifetime and pick up some readers on the way. Post-Perestroika has visited Russia and Tobias the Muscovite is out of work and looking for just about anything to make ends meet. He moves to a remote outpost in Vodka Valley, Siberia, where his duty is to guard a plot of land for oil and gas exploration by The Rusky Company. At first isolated, cold, lonely, and feeling alienated, he has gradually grown accustomed to and even accepted by this remote wilderness. Little does the young watchman know that at night he is sleeping above a buried secret more hostile than Siberia's weather. Just beneath the surface gurgles the mouth of Hell, waiting to be opened and spew forth. Privy to the secret, an unholy band under Asmodeus, demon leader of dark forces, and Ethagoria Nebsonia, master of the Siberian Vampires, have taken up residence in this land. Their influence has caused humans to change in Vodka Valley. People have become more strange, indifferent, envious, greedy, and violent towards one another. The Devil prowls Vodka Valley looking for the ruination of souls, and expects the dark legions to plan and wreak havoc on an apocalyptic scale. But, thanks to the local Russian Orthodox Church's resurrection from the ruins of the communist regime and the revival of spirituality, the Devil may not have the last word in Vodka Valley. 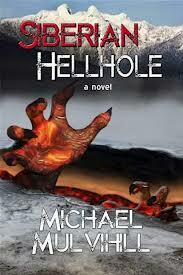 Micheal would like to give a PDF copy of SIBERIAN HELLHOLE to any reader who would be ready to post a review on Goodreads and/or Amazon after reading. Just let me know through the comment box if you'd like a copy. Nice interview. I have always wanted to find out what made writers of paranormal stuff create such stories and am now satisfied that they are not some different species of mankind. Well, Ramana, according to my guest, we Irish have this stuff in our blood. Yet I read an Indian paranormal 'Tantra' recently and I'm quite satisfied the Indians have it in theirs too. Thanks for visiting here today, Ramana. Ramana for me part (just part) of the reason why I write paranormal is to explore things which society regards as strange. I write about isolated characters like Tobias who lives in a Siberian hut which is totally desolate land. I write in my second novel about a vampire who is totally alone in the big city of Dublin. I write paranormal fiction (partly) with a sense that I can explore what is different in society. Look at how the film Paranorman is a deeply empathic examination of a child who is bullied because he sees things that are not there (he has a different perspective). Also the word bullying is recognized by Social Psychologists as a disease and if you watch the entire film it explains why those doing the haunting (which is a form of bullying) do what they do. So you see I write this because I must. I need to explain what frightening stuff is out there in the mode of weird, paranormal, horror fiction. Fascinating interview. Your passion for your writing, your life's work really, shines through. While horror is not my genre of choice, I can identify with your desire to write into the bigger picture, where everything that happens is merely the tip of the iceberg, layers of meaning are hidden beneath, all the time playing out like a contrapuntal harmony in the background. Good luck with your novel! Interesting setting for your book - with the interplay of timeless horror with developments in contemporary Russian society. You might find a book called Babylon by Victor Pelevin interesting. re Stephen King - I found his book - On Writing - useful. Great interview, thanks Michael and Maria :). I remember V well and the shivers down my spine when watching it. I was drawn towards Stephen King and James Herbert, but favoured the Gothic twist, enjoying reading about how England coped with the unknown nationalitys drawn to its shores. The Pictue of Dorian Grey stayed at the top of my favourite books for maybe five years, hence methinks I should read your book :). I'm also intrigued as to what way you depicted the revival of spirituality. Congratulations with what sounds like an excellent book and good luck with it! Michael's book certainly isn't one of those that you just read and forget about five minutes later. It has layers of meaning. That Stephen King writing book has gained high praise from writers across the genres, Paul. Methinks it's time I invested in a copy. And thank you for the book recommendation. Now Cait, I have to tell you, Dorian Grey is one of those books which you could read again and again and again and find something new to enjoy every time. It's a timeless book in a way. I've always been very partial to Oscar Wilde's work. In the Irish education system it was always W.B. Yeats and Oscar Wilde, among others. Even though most of Oscar's work was set in London high society, there was always this sense of pride in his Irish origins. Ah Yeats, I loved doing Yeats at school, he was so inspirational, and transcended genres with his supernatual poems. Oscar Wilde pretty darn fabulous -- during my hedonistic time, I oft quoted 'I can resist anything but temptation'. Good ole days :))). There's something so peculiarly interesting about an Irish education. I'll never forget the day when one of W.B. Yeats' daughters walked into my office to get a visa for India in the Indian Embassy in Leeson Park in Dublin. She was the image of him! Yeats was good at depicting beauty I guess whilst Wildes depiction of Dorian Grey is macabre and deliciously gothic because it shows how people can go insane from wanting to hold on to it. Whilst I dip into various books I must admit I am very fixated on finishing the next book, and cooking up a macabre piece for the next book. But it is vital for a writer to be an avid reader to. Totally adore Anne Rice, the way she narrates her stories, my goodness, no one does it better I believe. But this is not totally true. That is such a compliment from you Edith and Maria in relation to my book and my attitude to writing. My passion for writing is big, maybe like the fire that runs through the belly of The All Blacks just after they perform the Haka. If the Haka gives The All Blacks a psychological edge when they perform on the field, the words of my grandmother which she conveyed to my father about writing always will give me a psychological edge. She said, 'let your imagination run wild when you write'. When hearing these words as a child I could allow my imagination to run wild like a the horse in the movie Spirit (which I adore). And I do let my imagination run wild. I love great writers, but I believe it is important if your passionate about your writing to focus on your message, what you want to convey, and put your heart in to it. No time for thinking too much of them, focus on your writing, this is your time, your place, its you, your on the stage, you must perform to the best of your ability. Passion is essential for writing. So it is a good word to use Edith. And yes Maria my work has layers of meaning, I had a lot of fun creating that meaning let me assure you. I mean Siberia and perestroika are very deliberately put together to convey something else, some truth about the times we are living in. I focus on spirituality as a way to convey to people that austerity and economic woes are one thing, but we are people and we can be strong, once we trust in the Higher Power which transcends us all. Yes blackwatertown just googled Victor Pelevin and read the description of it and my goodness this is so, so up my alley. It reminds me of the time I first laid eyes on The Master and the Margarita which is totally and utterly surreal and bizarre something you just dip into and you think well done! well done Mikhail Bulgakov for being so surreal and so weird and so utterly ingenius. Mind you it makes me sad because when the book was written the author could not publish this book anywhere courtesy of Stalins oppression. So there is another reason why I write, I am a free man and I can, unlike so, so many, who tragically could not and if they did they were sent for a cold shower to Siberia. I am not into the paranormal, though I was fortunate to have been in every room of 115 Marino Crescent, Clontarf, the house where Bram Stoker was born and reared. The the basement kitchen was where the Russian Crown Jewels had been hidden during residency of the Boland family. Sorry, that should be 15, Marino Crescent. By the way, Clodagh O'Donovan, a grand-niece of Harry Boland, left a comment on my blog with details about the Russian Crown Jewels. Awesome interview, Maria and Michael! Congrats on your new release, Michael:). Siberian Hellhole sounds intriguing and pretty intense! I've never heard of the TV series V, but my husband, who's into sci-fi, has. I'll have to check it out. Great post Maria and Michael. I agree wholeheartedly that writing should be a spontaneous art. Imagination should sift through reality to explore and describe both the internal and external worlds. I'm also wishing I had experienced that Irish education! Mind you, as a hopeless romantic, I confess that I adore W.B Yeats anyway. Siberian Hellhole sounds deliciously dark. Grannymar, how did you get in there? I'm jealous? I'd love to go in there. I used to glance longingly towards that house when I'd be going into town on the 27B bus. Well, Grannymar, you're streets ahead of most bloggers I know. This only confirms it! Maria, thank you for coming over, reading and commenting. I wasn't greatly into sci fi, but I do remember people talking about V and their reactions were fairly dramatic. Well, now, Jenny, there's no doubt about the fact that we Irish have a wonderful English literature course in our educational system, but there are a few things about the Irish education system you mightn't have found so salubrious - like spending hours memorizing Irish language grammar rules which would kill any incipient love you had of the language and reams and reams of Roman Catholic catechism and prayers - I've always found it much more sensible the way Protestants do it - doing the faith/Bible education through Sunday school. The kind of education we had didn't exactly equip us to become nuclear physicists - had we wanted to be nuclear physicists, that is. But the truth is, I still love Ireland and I'm terribly proud of our literary heritage. Mmmm, I have problems memorizing most things. Think I would have sunk rather than swam under this system. What a shame. Must say the English system was kinder. Not that I ever looked set to be a nuclear physicist! How could you not love Ireland the Land of Legends and Leprechauns? I understand. It is just that I am not attracted to the genre as much as to the mainstream fiction. Yes Jenny the novel Siberian Hellhole is as you say 'deliciously dark'. Lets just say Siberia in winter ain't exactly a tourist destination. That mixed with marauding vampires and demons and well yes it is dark. But add in the fact that if one was a writer back in the day when Uncle Joey Bear Stalin was in charge and you wrote something Mr. Stalin did not like one could be given a nice ticket to go to a place where if you got lost you would never be found. So that is what I call not exactly the stuff that romance and all that jolly stuff is made of. And these are the lovely thoughts people have when they think of Siberia. They don't think about teddy bears per se, they think of Gulag Archipelagos and freezing to death. I mean it is just not to be resisted as a setting for a horror writer. Yes the education system for English literature was good at second level, and woeful at third level. I also got to read To Kill A Mockingbird for my second level education which was a highlight also. In fact the stuff I studied for the Junior Cert; war poets, Harper Lee, Romeo and Juliet, have to say I loved it more than the leaving cert. I had to study Jane Austens Emma Goodness! I mean I am a horror writer, GET ME OUT OF HERE. It is why I could not AND WILL NEVER complete a degree in English, there is too much stuff on a would be degree that you would go OMG do I have to read this and study it. I thank God every day I discovered the writings of Sigmund Freud, read all his work, studied it, got honors, got my degrees because of my love for Freud. 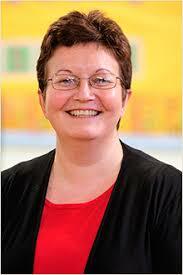 Yes I agree with Maria Irish is thought so badly makes you wish to abstain from Gaelic for life. Maria have to make sure it is the 1980's version of V.
And watch the very first episode when they invade in their alien saucers. Yes Ramana people have different desires and interests. I guess I am interested in more dark stuff. But the mainstream also holds my interest, just could not see me offering anything interesting to it. I mean where would I be without my psychos, vampires, cannibals, zombies? And where would they be without me? I've always believed good contemporary fiction - regardless of the genre - is as valid a commentary on modern society as the clasics are on their time and a darn sight more fun to read. Any thing in the horror genre has the potential to be an eye opener in the hands of a competent writer as there are as many "scary" things as there are people. We all have our fears and with regards to spiritual stuff - well those of us not so solidly in the true believer mode an be spooked by the what if scenarios. Michael I like your attitude and this looks like a book I'll enjoy. I haven't r ead a good horror stoty in a while although I do like my wizards and vampires. As the "owner" of a fairly serious dark side, I am always interested in others takes on the matter. lovely to "meet" Michael and get to know more about his book. Awesome interview, Maria and Michael! Congrats on your new release, Michael. Siberian Hellhole sounds intriguing and pretty intense! Hi Maria, Hi Michael. Lovely to see a guys point of view. Congrats on your release of Siberian Hellhole, sounds fab! Michael, I've enjoyed having you over here, all that reminiscing about Ireland is making me sentimental. Thanks for coming to my blog and giving me a post that's totally different and thought provoking. Chuck, you're very welcome and thanks for joining our discussion. I like your attitude too, it's fun and very open. Well nutchell, you're always welcome over here. Great that you could stop by. Intense is the word, Nas. I'm with you on that one. And intriguing. Definitely. Thank you Nancy, lovely to see you over here. 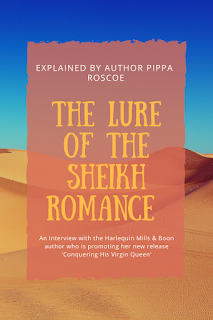 Yes, Tash, Michael's the first male author I've hosted in the seven or so months of this blog's history. I'll have to hunt around for a few more men I think, to even up the scores a bit! prestige make it the sleeping giant Sleeping Giant may talk about:. a larger one, he was quoted saying. Deering Common is located in the college's South Entrance. Air Force Falcons - Alabama Crimson Tide - Appalachian State Mountaineers - Arizona State Sun Devils - Arizona Wildcats - Arkansas Razorbacks - Army Black Knights - Auburn Tigers - Baylor Bears - Boise State Broncos - Boston College Eagles - Boston University - BYU Cougars - Cal Bears - Cincinnati Bearcats - Clemson Tigers - Colorado Buffaloes - De - Paul Blue Demons - Duke Blue Devils - East Carolina Pirates - Florida Gators - Florida State Seminoles - Fresno State Bulldogs - GA Tech Yellow Jackets - Georgetown Hoyas - Georgia Bulldogs - Gonzaga Bulldogs - Harvard Crimson - Hawaii Warriors - Illinois Fighting Illini - Indiana Hoosiers - Iowa Hawkeyes - Iowa State Cyclones - Kansas Jayhawks - Kansas State Wildcats - Kentucky Wildcats - Louisville Cardinals - Loyola Marymount Lions - LSU Tigers - Marquette Golden Eagles - Marshall Thundering Herd - Maryland Terrapins - Miami Hurricanes - Miami University Red - Hawks - Michigan State Spartans - Michigan Wolverines - Minnesota Golden Gophers - Mississippi State Bulldogs - Missouri Tigers - Montana Grizzlies - Navy Midshipmen - NC State Wolfpack - Nebraska Cornhuskers - New Mexico Lobos - North Carolina Tar Heels - North Dakota - Northwestern Wildcats - Notre Dame Fighting Irish - Ohio State Buckeyes - Oklahoma Sooners - Oklahoma State Cowboys - Ole Miss Rebels - Oregon Ducks - Oregon State Beavers - Penn State Nittany Lions - Pepperdine Waves - Pitt Panthers - Purdue Boilermakers - Rutgers Scarlet Knights - San Diego State Aztecs - SMU Mustangs - South Carolina Gamecocks - South Florida Bulls - Southern Miss Golden Eagles - Stanford Cardinal - Syracuse Orange - TCU Horned Frogs - Temple Owls - Tennessee Volunteers - Texas A Aggies - Texas Longhorns - Texas Tech Red Raiders - UCF Knights - UCLA Bruins - UConn Huskies - UNLV Rebels - USC Trojans - Utah State Aggies - Utah Utes - Vanderbilt Commodores - Villanova Wildcats - Virginia Cavaliers - Virginia Tech Hokies - Wake Forest Demon Deacons - Washington Huskies - Washington State Cougars - West Virginia Mountaineers - Wisconsin Badgers - Wyoming Cowboys - Xavier Musketeers>">Don't view your team. All but two with the Orange's spring practices were closed to fans as well as the media as Marrone sought to keep the team focused.
. All but two of the Orange's spring practices were closed to fans along with the media as Marrone sought to maintain the team focused.